At the end of the day, the main thing every potential and new VA wants to know is “where do I get clients?”. Because this is the question on the lips of every freelancer and something I discuss in every single training session, I thought I’d share the three most successful methods I’ve found of how to fish for and land your first client. 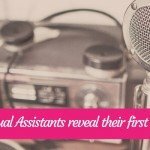 I wasn’t even a Virtual Assistant when I got my first client. A friend’s husband needed some Internet research doing and asked if he could pay me £10 an hour for four hours a week to help him. That was the moment I realised I could not only work for myself, but that I didn’t even need spectacular admin skills to do it. People can’t help you if they don’t know what you’re looking for (or even that you’re looking at all), so email your entire address book and tell them what you now do, what services you offer, what type of work you’d like, what your website/LinkedIn URL is (if you have them), how much you charge – and tell them to spread the word. Because it’s now not just you keeping a lookout for opportunities. You also come with a personal recommendation and you’re not relying on being found by search engines alone. I’ve discovered that work can come from strange and unexpected sources, and even if your friends don’t need your help, they’ll often pass your email on to other people who might. Many people have never even heard of a VA so they definitely wouldn’t know where to look for one. My second client actually came through the company I used to work for. After I left, I contacted all the suppliers to tell them I was now working for myself. I gave them a list of services I offered, outlined the benefits of outsourcing, asked them to call me if they needed anything doing and to forward my email to anyone they thought might also need me. I quickly got a reply from the decor company who used to fit the venue out for weddings and events. They needed help maintaining their team’s expenses but didn’t need a professional bookkeeper (which was lucky cos I’m not one), they just wanted someone to go through bank statements and receipts and reconcile on their existing spreadsheet. This is also how many of my trainees land their first client. The great thing about this method is, even if those exact people don’t need your help, they can often serve as a demographic profile for your ideal client. You know what their lives look like, where they are online, what they do all day, what their pain points are, what their long-term goals are, what events they go to and what LinkedIn groups they’re in etc. Once you know what your ideal client looks like, you know where to find more of them. Consultants in particular are prolific users of VAs because they can generally pass your fee on to their clients, they appreciate the importance of delegation, they will charge more per hour for their services than you do (thus earning more money simply by giving you tasks), they’re also freelance so usually pay promptly – plus they know what it’s like to run your own business so are understanding when it comes to taking time off. VAs aren’t given tasks because their clients don’t know how to do them – it’s usually because they just don’t have the time or can’t be arsed. So don’t think you have to be an expert, you just need to have more time than your client does! Because these people already know the standard of your work and where your value lies. Past/present employers know what you’re good at so might give you those particular tasks on a freelance basis instead of retraining someone new. I know for a fact that around 30% of my trainees get their first client through existing business contacts – they had just never thought of them as potential prospects before. You’re often (literally) already right in front of the people who can hire you. Finding, researching, qualifying then contacting your ideal client is by far the most successful method I found when it came to getting my own clients. I’ve been doing this since the day I set up and I now don’t bother using any other method because I can go and get the exact type of work I want. In fact (as I’ve mentioned a billion times) this method has worked so well for me that I now don’t need any more clients. It’s the method I teach in my guide on how to get new clients and it’s also what I teach the DIY VA course VA trainees how to do. Because often the person you contact doesn’t even know that someone like you even exists. They have no idea that there are people out there who they can hire on an ongoing or ad-hoc basis to help them out. And I know this because my clients have told me this themselves. They said they wouldn’t even have known what to search for in Google to find someone who could help them – and this was especially true with some of my specialist industry-specific tasks like social media research and analysis. This method is great because you decide who you want to work with and why, you’re not accepting every enquiry that comes in and you’re finally in control of what your business looks like and what tasks you do. 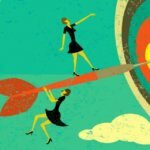 There are many ways to market your business and get clients, but I think these three are the most successful – and I say this based on my own experience as a Virtual Assistant and from the evidence I’m seeing with my trainees. In fact, through years of writing CVs and helping people find jobs, I know that all three of these methods also work when looking for a permanent job. Referrals, existing contacts and actually going out and researching then contacting people you want to work for results in a far higher success rate than anything else. If you want a steady stream of great clients, you should definitely check out my course on how to market your VA business. The first lesson is free. Hi Jo, I’m currently doing the research to start my up as a VA and finding your website really informative and helpful. 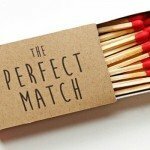 Ideally I’d like to start running this new venture along side my current PA job and I am creating a basic website but with regard to pointing friends/new clients towards LinkedIn etc I didn’t want to set up a new linkedin page as it shows my current job and not my VA work – or is it wise to set up a new page to keep in separate? I would just like to say….. this website is very good and I love how you explain things. Very informative and lots of information. I am so much in love with how explained things in your website. This piece just came I when I needed it. Going to create a website for my VA services. I am leaving my job on Friday to start my new venture as a freelance PA/VA. I’ve got my business cards and some information flyers at the printers, I’ve set up my new business email address and my worktimer to help with keeping track of my hours. I’m currently working on my terms and conditions and using the next couple of weeks to finalise everything. I am confident that I can make a go of this and just wanted to thank you for your advice and useful information, it’s been really helpful. It’s great also to hear what others are going through. Good luck to everyone!